Each year we scratch our heads to come up with a new idea for our Christmas cards. This year we thought it would be fun to give everyone a hot chocolate treat in the form of a Christmas card. We easily cut out these cards with our Cricut Explore Air 2 in Cricut Design Space (alternatively you can cut them out by hand) and a mug template that you can download for free after you subscribe below. 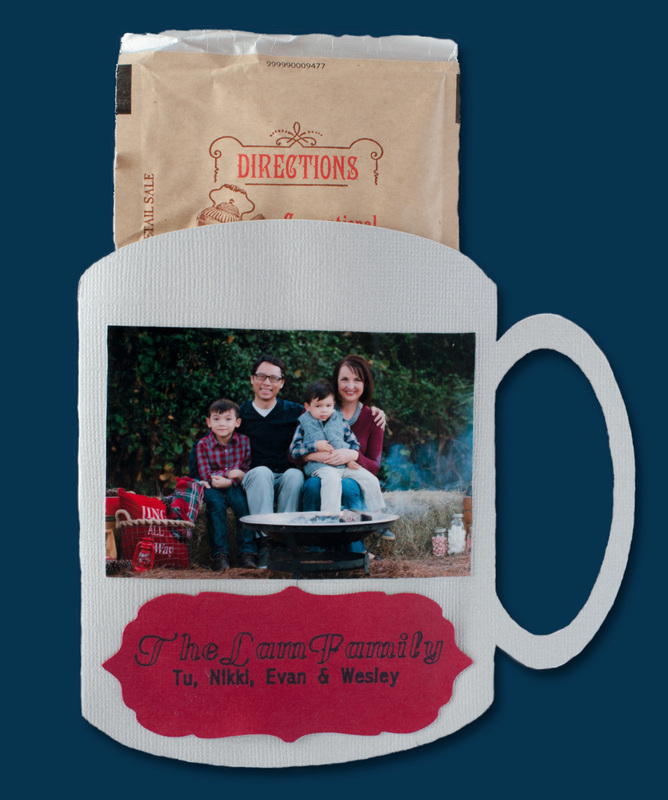 These mugs would also make adorable inexpensive gifts for special people in your life around the holidays! Find a more detailed tutorial and discover how to upload this template and cut it out here. Everyone was appreciative for their own Trader Joe’s Organic hot chocolate. 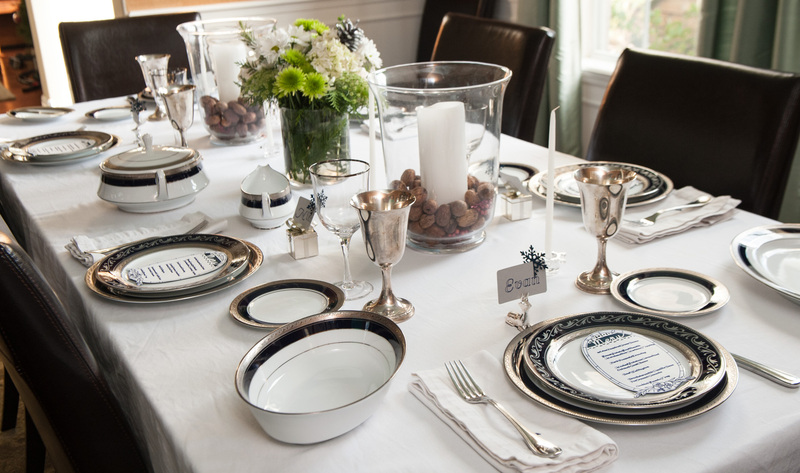 Once a year we bring out the fancy china, silver, and pressed white table cloths. These present ornaments were turned into place card holders. 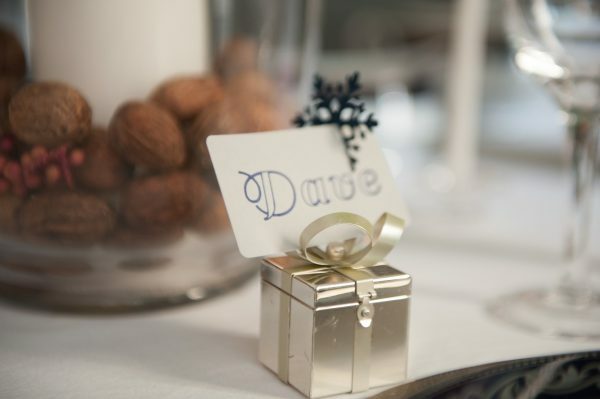 The fun thing about these place card holders is that you can place a small present inside! We usually place our favorite Bequet sea salt caramels inside the box. Our place cards, along with the small snowflake on top, were made on my Cricut Explore Air 2. 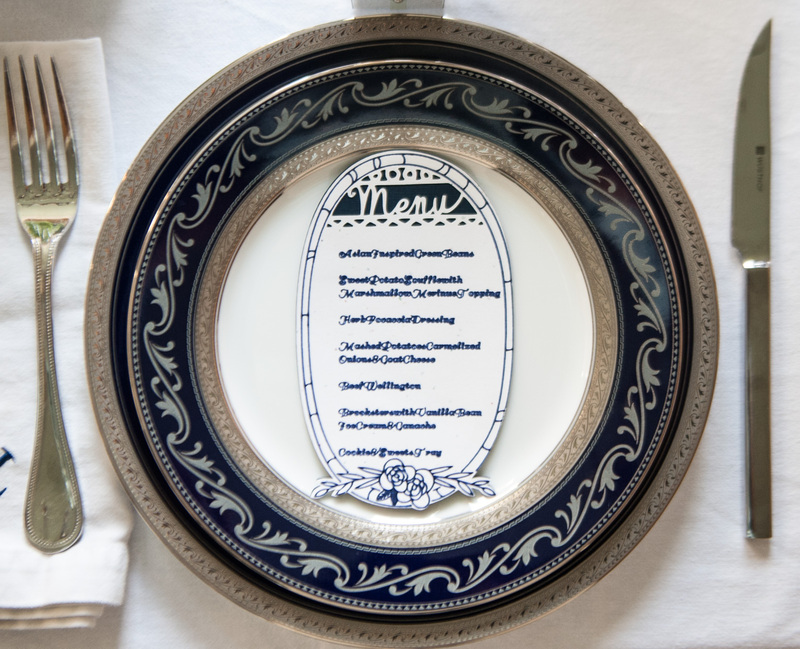 How do you like our menus and place cards that match the china? I’m so thankful that my Cricut Explore Air 2 has a writing feature so no one has to see my chicken scratch! 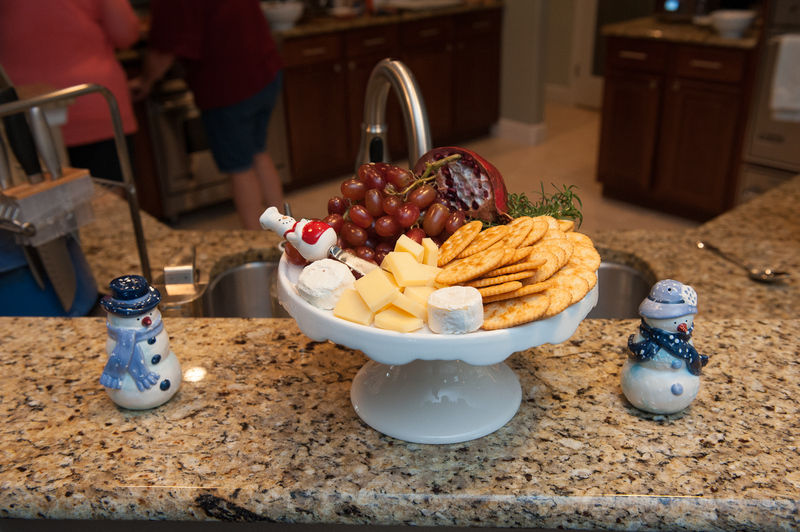 Pomegranates and rosemary make a festive garnish for a Christmas cheese platter! For our main dish, we served Beef Wellington. For this recipe, I suggest using the Serious Eats recipe by J. Kenji Lopez-Alt that can be viewed here. J. Kenji-Lopez-Alt has also written one of my favorite cookbooks called the Food Lab that is pure genius! We wanted to serve a more refined version of the sweet potato casserole but still include a marshmallow topping. 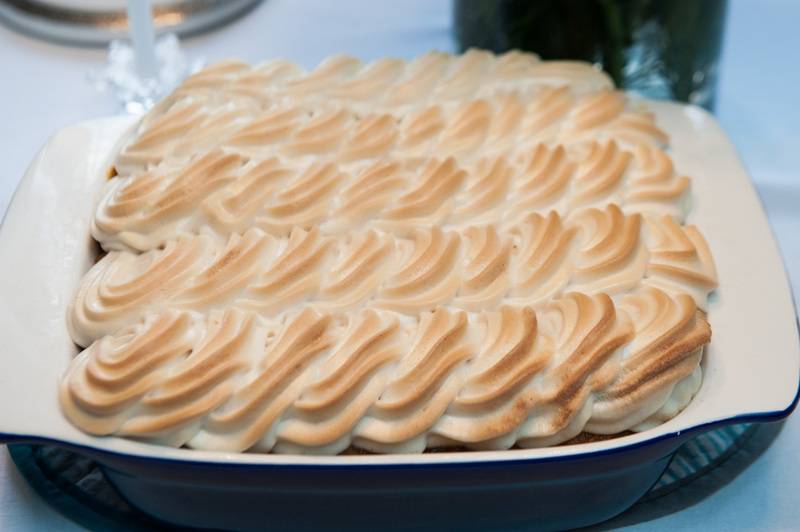 To achieve this, I would have to make homemade marshmallow fluff and pipe it on top of sweet potatoes. Find this recipe for sweet potato casserole with marshmallow topping and instructions in another one of our posts here. If you are new to using a piping bag, check out this post for some helpful hints. Anyone who knows me well can attest that I’m passionate about making bread! Forming dough is like therapy to me and serving this treat to my family brings me much joy. 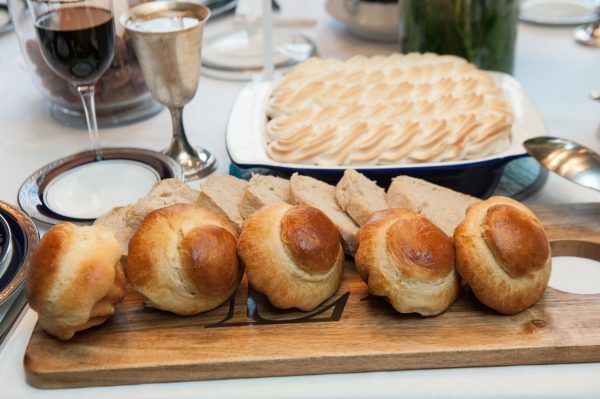 For Christmas we served a bread board complete with brioche a tete and sourdough bread. Brioche is a scrumptious buttery, melt in your mouth bread. 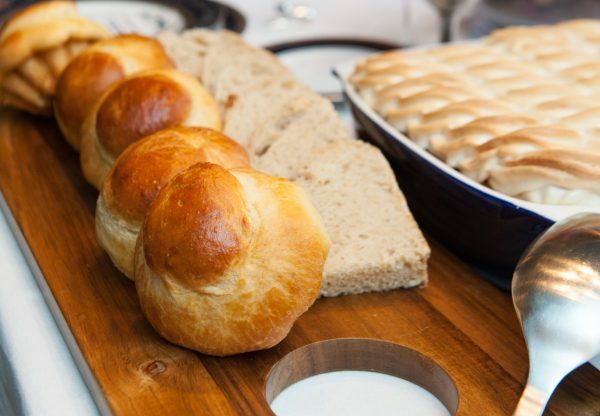 My favorite recipe for it comes from a Craftsy class that will make you a bread-making pro. The Craftsy class is called Classic and Creative Brioche Pastries. The crusty sourdough comes from Artisan Bread in Five minutes a Day Book. Both of these doughs can be made ahead of time. We love serving bread on this wooden board that we personalized with a Cricut permanent vinyl monogram. This board also doubles as a great cheese board. We went on a trip to Chicago to visit Stephanie Izard’s Girl and the Goat restaurant. To my amazement, my meat-loving husband’s favorite dish at this restaurant were these green beans! I knew I had to run home and find this recipe. 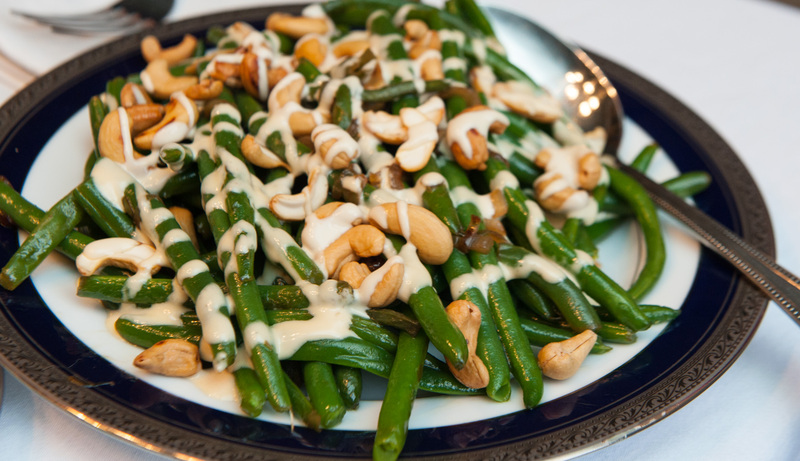 Stephanie Izard calls this dish Magic Green beans found here. If you choose to not make the green bean dressing you can also purchase it here. Do yourself a favor and make your cookie dough ahead of time! 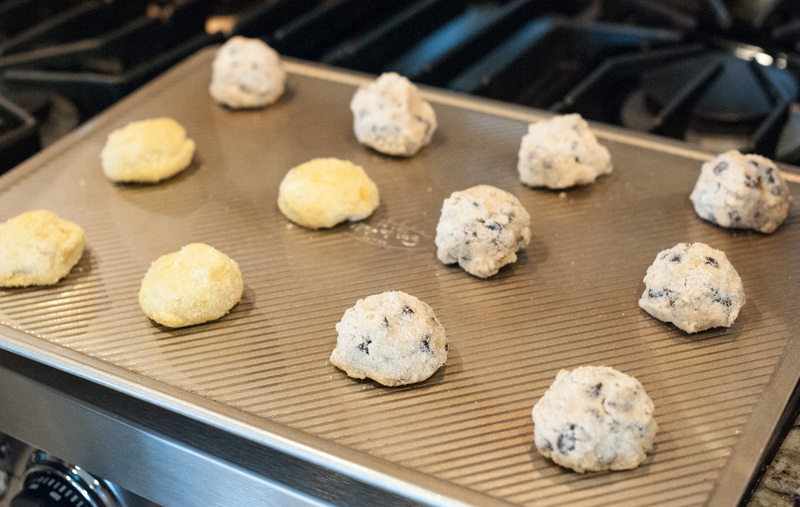 Scoop out your cookie dough with a scoop number 40 to achieve uniform-sized cookies. 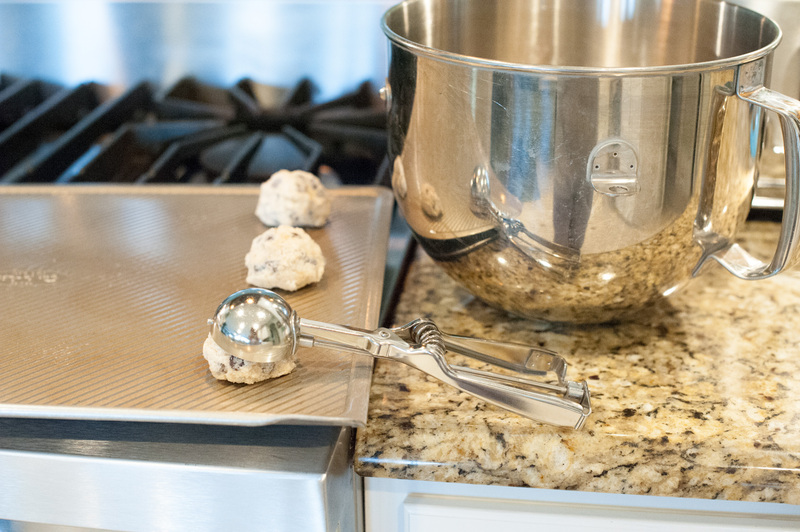 Cover your raw cookie dough balls with clear wrap and then stick them in the freezer. 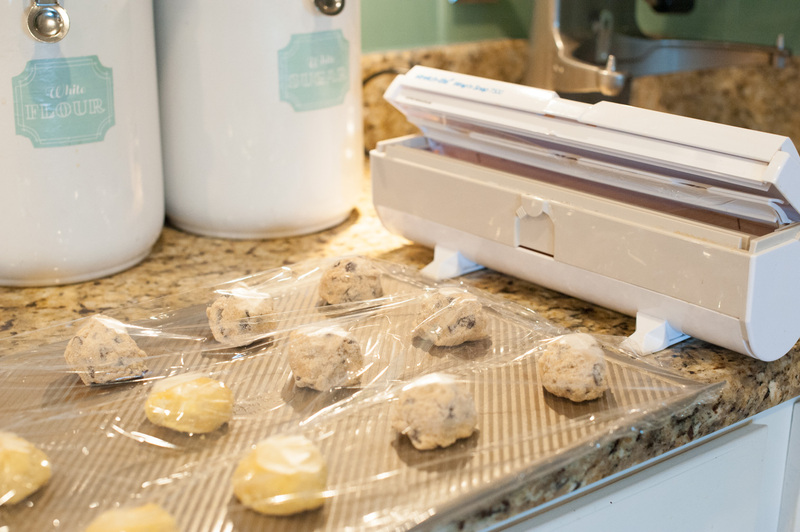 We love this handy clear wrap dispenser if you do not like fighting with you clear wrap. Simply press down to cut the clear wrap. 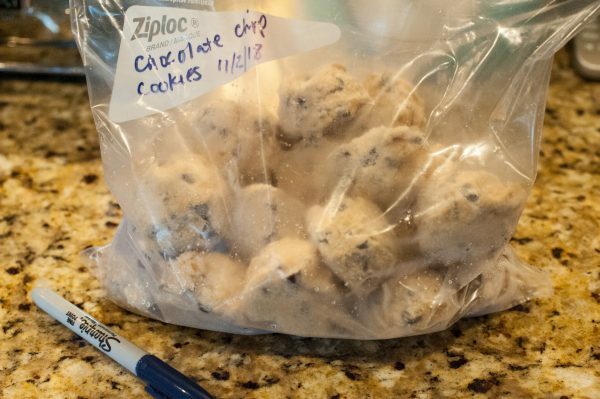 Once your cookie dough balls are frozen, stick them into a gallon-sized bag. If you try to put the dough balls in the gallon bag first all your dough balls will all stick together. It’s a good idea to get into the habit of labeling and dating your bags to ensure freshness. 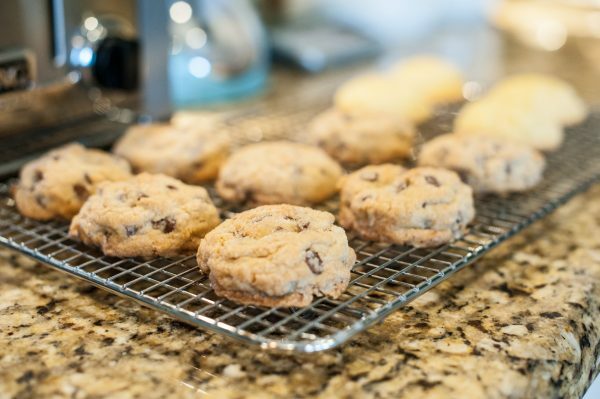 It’s time to bake these spiced chocolate chip and Meyer lemon cookies! I bake these cookies straight from the freezer without thawing the dough. The brilliant part with this freezing method is that you can make one cookie or the whole batch. Please keep in mind that if you bake from frozen the cookies may take 1-2 extra minutes in the oven. 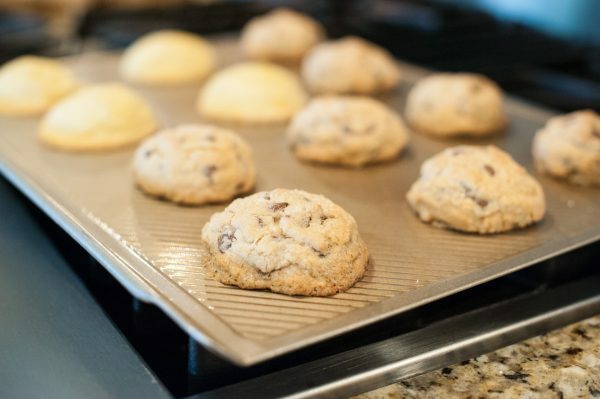 You can line your cookie sheets with a silpat non-stick liner, but I do not find that necessary with these great non-stick pans that I will link below. Soon after the cookies come out of the oven, cool them on baking racks. Enjoy the cookies with a glass of milk! First off, can I say I am dying for a Cricut! Your table setting and food are both GORGEOUS! A well-set table makes me delirious with happiness! I think I am going to take your advice and make my cookie dough ahead of time. THANK YOU!! Thanks so much Trish! I love my Cricut and use it SO much. I don’t think you’ll regret getting one. Absolutely love your Christmas card, so sweet. I’ll definitely be using your method for cookies ahead of time. 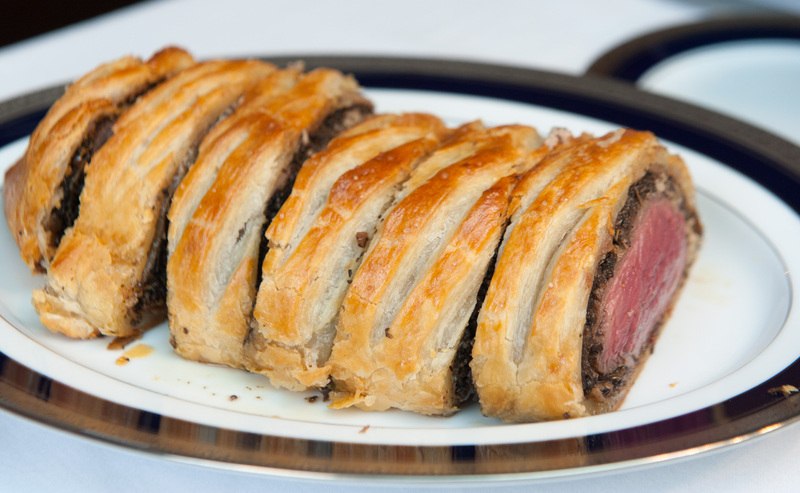 And what a beautiful Beef Wellington, I love Serious Eats! Thanks so much Chelsea! I love Serious Eats too. Have you read the Food Lab? What a beautiful spread! I have a Silhouette Cameo and love how I can use it to add beautiful touches to any holiday, especially Christmas. Thanks Ayanna! I went the Cricut route but I’ve heard good things about the Cameo as well. I absolutely LOVE the idea of giving hot chocolate as a Christmas card! 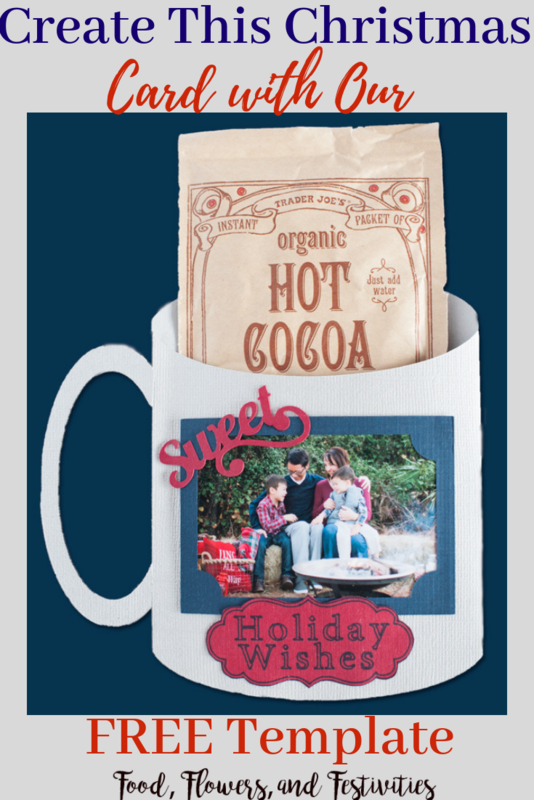 We put sachets of hot chocolate for the kids in our Christmas Eve box…this has made me want to put them in a card too! All the food looks SO good too, I really want to try those green beans! Thanks so much Sarah! FYI I’m giving away the template for the card as a freebie to my subscribers. The green beans are awesome. 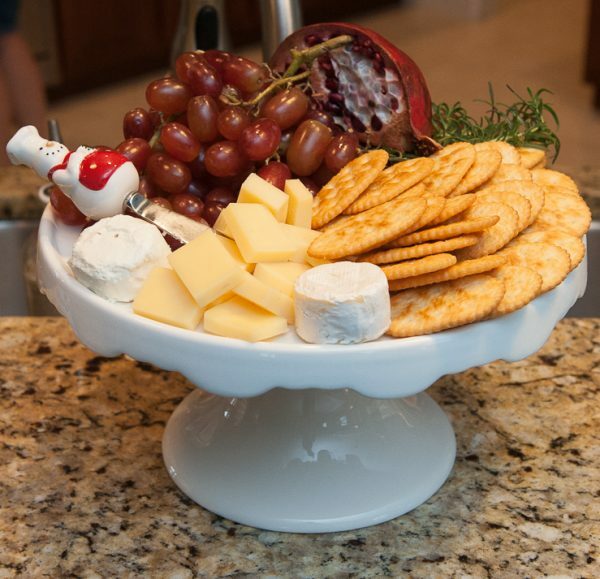 That cheese platter looks absolutely amazing! And you can’t go wrong with chocolate chip cookies!!! 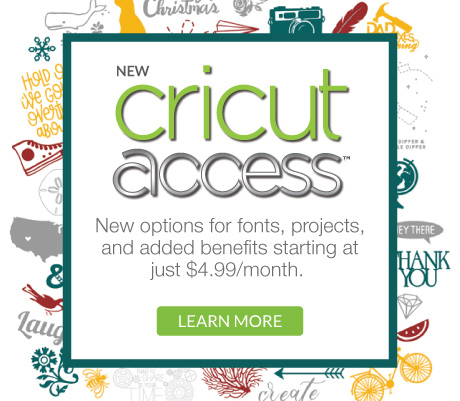 I want a Cricut!! I love your place settings that you made with your Cricut. So cute and elegant! Thanks Ali! I have a link to the Cricut that I use and love under my shop link and then party essentials if you’re curious. What a beautiful feast! Wishing you the happiest holiday season yet! Thanks so much Amanda! I hope you have a wonderful holiday as well. This all looks amazing. I have made beef wellington once and I loved it. We use the cookie dough hack too and it saves so much time! Yes! 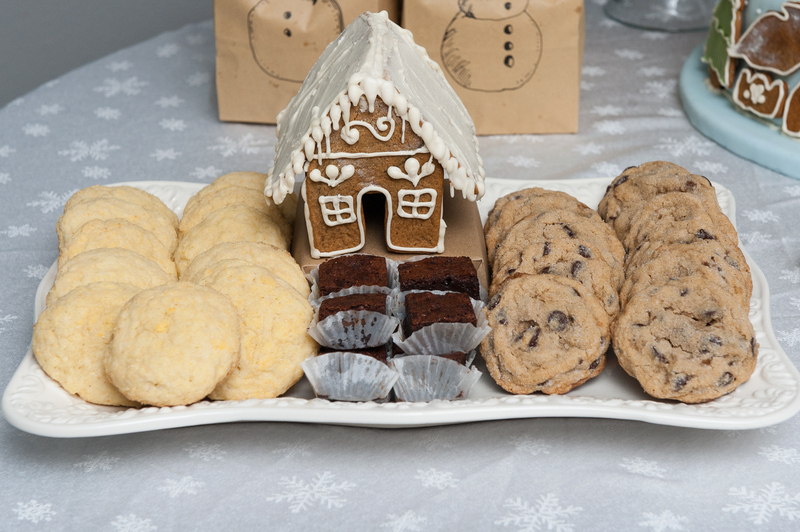 It’s nice to always have cookies on hand. Oh wow! Christmas at your house is amazing! I should try that Beef Wellington! It looks so good. Thanks so much! 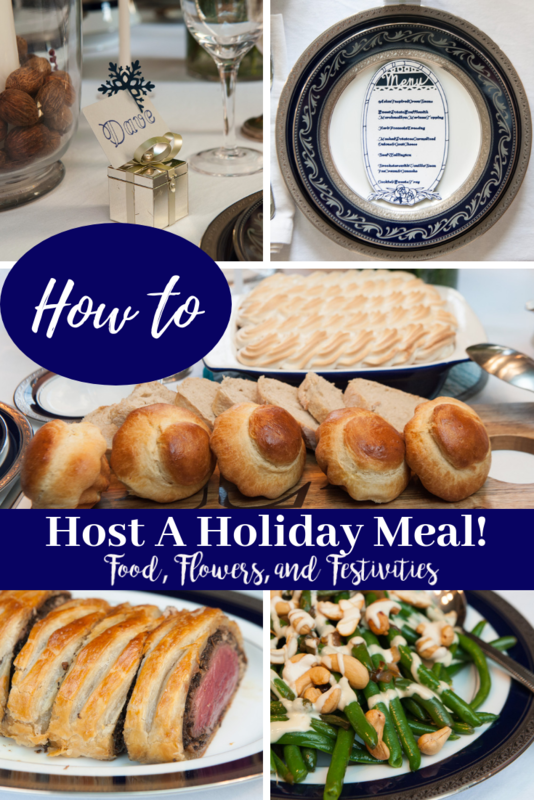 I really enjoy preparing for meals and parties. Wow, I can sure see your passion with this. I love the idea of making your own Christmas cards each year – and so clever! Lots of great tips, tricks and ideas! Thanks for sharing! All the food looks so tasty ♥ I love the Christmas card mug! Thanks! We had fun making the mug. What a beautiful table! You have some truly wonderful ideas! I would love to attend a party at your house! Thank you for sharing! Thanks so much! I do love to entertain. All look amazing! I love your tablescape! My favorite was the little boxes with the gifts inside! Thanks so much Sarina! We all love this time of year. I have that Bread in 5 minutes a Day book. I just love it!!! The sweet potato casserole is gorgeous too! Nice pipping! Thanks Nathalie! I have really enjoyed the bread book as well. Did you know that she also has a Craftsy class? Bread making is so satisfying to me.